Chronic Fatigue is Bogus. Why Are You Really Tired? “I’m sorry, there isn’t anything I can for you. I can refer you to someone who can diagnose you with Chronic Fatigue Syndrome,” the doctor stated matter-of-factly. The words rang hollow in my ears. “No, no thank you,” I mumbled limply. Why didn’t anyone have answers? After checking out, I made my way to my car. I put my head on the steering wheel as I felt the hot tears running down my cheeks. Frustrated, I wondered what I would do next. I waited 4½ months to get into this specialist. I’d been hoping and praying she’d have the answer or at least some ideas to pursue. Good Days. Bad Days. Crazy Days. There were days I wondered if I was going crazy. I have good days and bad days. On the bad days, I lay on the couch and tried to keep my eyes propped open for a few minutes here and there. My kids watch too much TV. My oldest son makes lunch for his younger brothers. When my husband gets home from work, I go to bed and officially “give up” for the day. My husband figures out something for dinner that hopefully isn’t take-out…again. On the days I feel well, I cook, play with the kids, and do laundry (carrying baskets of dirty clothes from our second floor bedrooms down to the basement). On my good days, I lead a fairly normal life. Do I feel 100%? No. But compared to the bad days, I can get things done. It’s on these good days, I wonder: Am I going crazy? Is it all in my head? Why am I running from specialist to specialist when I feel so functional today? This doesn’t make sense. Why do my symptoms come and go? Calling something a syndrome is not the same as labeling it a “disease.” A disease is something wrong with your body that has a recognizable etiologic (causing) agent, often with a group of identifiable symptoms or alterations to your anatomy. A “syndrome,” however, is a convenient classification clinicians use to give a name to a constellation of symptoms that often like to travel together. Beyond that, a syndrome tells you nothing about what you really want to know: what’s the cause? To say Chronic Fatigue Syndrome is “only a syndrome” is not to say the symptoms aren’t real. Trust me: if you’ve ever been so habitually exhausted you find it nearly impossibly to climb out of bed, you know just how real the symptoms are. When something is called a “syndrome” it doesn’t mean the problem is less serious or imaginary. It just means medicine doesn’t know much about it. This is why I was not satisfied with a Chronic Fatigue diagnosis. I wanted to know why I felt so terrible. Trying to hold loosely to hope, I fidgeted as I waited in the office of yet another new doctor. He had been highly recommended to me, but I didn’t want to be overwhelmed with disappointment when he didn’t have any answers. I won’t diagnose you with chronic fatigue or fibromyalgia. I don’t believe those are true diagnosis’. I will do the work to figure out what is causing these problems and you will get better. You have a bright, bright future ahead of you. 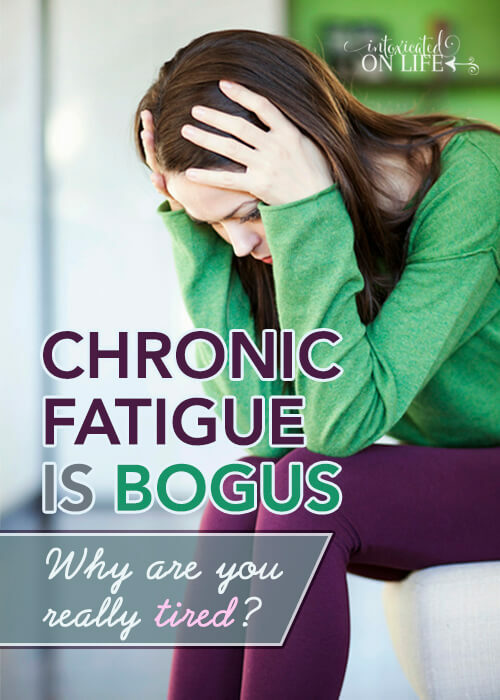 So, if it’s not chronic fatigue, what is it? In my next article I’ll share with you what the doctors really found. I now know the primary underlying cause of my symptoms and I am beginning a plan of attack with the help of my doctor. Do you struggle with Chronic Fatigue? Not just plain ole’ being tired. But a fatigue that is debilitating. A fatigue that takes over your life. Or maybe it’s other health problems that nobody has the answer for. Don’t give up. I’ve been searching for a long time to figure out what is going on with me. Some people have to search a lot longer than I did before I found answers. I’m so thankful I didn’t give up because now I have hope that the future will look brighter. Be your own advocate. Keep reading, researching, and looking for health professionals that are willing to work with you. Health professionals that are willing to do the hard investigative work to find out what is going on. Trust in God. Through the uncertainty and now through the diagnosis I have had many moments where the discouragement and despair has threatened to overwhelm me. There are days when I feel like I’m failing at everything in life. My body has many limits right now. I don’t know all of the reasons why this was in the plan for me, but I can rest in the knowledge that God does have a purpose. He will use this situation to craft me into the woman He desires me to be. He will use this situation to craft my husband and children into the people He wants them to be. Take care of yourself. It is important to take care of yourself: mind, body, and soul. Eat a whole foods diet. 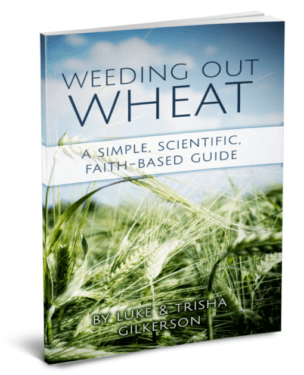 Reduced the processed junk from your life. Reduce your stress levels. Improve your sleep habits. Get rid of the toxins in your personal care products (that’s the last thing your body needs). Doing these things won’t necessarily make you better, but it will give your body the best chance towards healing once you learn what is wrong! Sorry to leave you hanging Kym! At least it wasn’t for long though :). The second post is up today. I’m really sorry I was right :(. We’re still awaiting confirmation here, but clinically speaking I already know its a yes. It’s a scary and misunderstood illness. I wish you the best and hope you have a terrific LLMD! God Bless! Thank you Kym. I do have a wonderful LLMD. 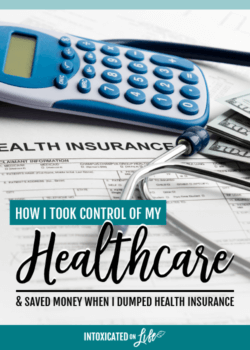 I actually consulted with two in my region and went with the doctor who I felt had the most comprehensive plan and also a plan that I was more comfortable with. It’s an integrative practice, so they’re open to a number of treatment modalities. Praying your daughter finds answers and is able to begin treatment and the road to recovery soon. I’m sorry your specialist didn’t test you, all doctors who are true CFS/ME specialists test for Lyme and many other things first off, to be sure of diagnosis. (General MDs and even endocrinologists still know almost nothing, hence, referral.) Now there will soon be a real biological diagnosis for (what used to be called, lamely, Chronic Fatigue Syndrome), SEID, Systemic Exertion Intolerance Disease. It is a proven, biological disease, with so many awful symptoms, I can’t list them all. 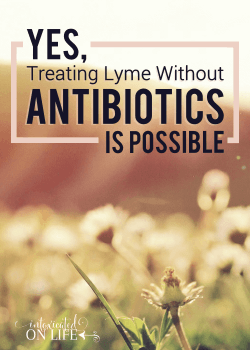 Please change the title of your blog of April 23, as it can confuse and mislead many who DON’T have Lyme, but are very sick indeed with SEID. Please add the website SolveCFS.org to your info, for those who may have this disease, after Lyme is ruled out. If early diagnosis is made, the chances for improvement or remission is much greater. Thanks for your note. I’ll be honest, I hadn’t heard of SEID until you mentioned here. I did a brief perusal of what this is and I found that it’s the institute of medicine that has essential requested a name change of Chronic fatigue to Systemic Exertion Intolerance Disease. It really doesn’t appear to be anything different at all, just a name change. Also, when I went to look on the IOM website, it appears that it would make it quite easy for doctors to easily diagnose patients with SEID and not even consider other issues. Also, from what I can tell it doesn’t appear that there is much treatment that has any sort of long-term success. I stand by what I’ve said in this post. I don’t believe that CFS or SEID is a valid diagnosis. I think doctors need to do the hard work of really getting to the bottom of what is CAUSING the chronic fatigue (and the multitude of other symptoms that often come with the fatigue). Is it always lyme? No. It could be toxic mold exposure. It could be viruses. It could be any number of things too numerous to list here. But I’m passionate about telling my readers not to settle for a CFS/SEID diagnosis. From my viewpoint, it seems to be a fairly worthless diagnosis that doesn’t lead to wellness. The title of my April 23 blog is quite adequately titled. I make no claims in the blog that every chronic fatigue case is caused by lyme, but I do tell my story and what I know about lyme. I believe there are many, many people out there suffering with chronic fatigue whose underlying cause is lyme. They need to read this information. The lovely invisible disease syndrome. I have been diagnosed with ASP or Hughes Syndrome, and I notice that it is a Syndrome. Ug. 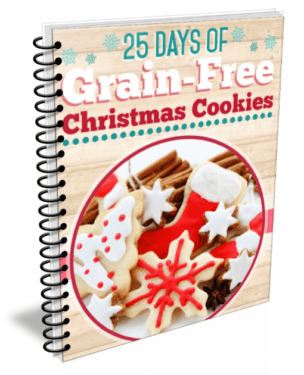 I was diagnosed with it through blood tests, went gluten free and attempting to feel better. Most days I do, when I do too much it gets rough, or stressed. I hope that you feel better and find the root of the issue. I’m sorry you’re dealing with a tough health diagnosis. I actually was diagnosed, finally – I wrote about it here. I’m thankful to finally be working on recovery now. Going through this right now, too. I’ve been told I have Fibromyalgia, but I think it’s something else. And honestly, they didn’t run some tests that I think they should’ve. Hoping to find answers soon. So sorry you’re having troubles! Praying you’re able to find answers! I know I wouldn’t be happy with a “fibromyalgia” diagnosis either. Find a doctor who will dig, dig, dig until they find out WHAT is causing your problems. Was told I had fibromyaligia too. Now I find out I have parathyroidisum. Have your blood calcium level checked. High calcium level is the only thing that causes this. My doctor completely missed it! This is another good thing to check into. Good thought! Hi I ran across your site when I was on Facebook and ran across ThyroidNation, I believe is the name of it. I’m very sick w/my low low adrenals and thyroidectomy etc. I’m just wondering y u were complaining about her linking ur pg when all that did was push ppl like me to ur site?? I’m so sorry to hear that you’re sick with low adrenal function and a thyroidetctomy. I know how difficult it is to be suffering with such low energy. I hope you can begin to get some relief soon. Regarding my post on thyroid nation, I absolutely do not have any problems with her linking people to my page. In fact, I’ve emailed her personally twice about this and tried to explain that. The problem is with HOW she did it. She took my copyrighted material and copied/pasted it to her own website. There are appropriate and legal ways to link to people and their work that you think would be beneficial to your audience without actually stealing their material. I hope that makes sense. I hope you’ll stop back and update me on what your doctor said. Have you checked for a doctor on ilads.org? Even if you have to drive a few hours, it’s so important find a doctor who is knowledgeable. If you are indeed infected with lyme, you’ll need much more than self-treatment. It’s a very complicated disease to treat. 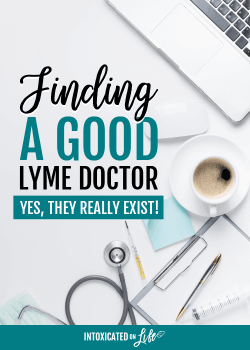 I did recently write a post on testing for lyme, this might be helpful for you as you talk with your doctor. You can check it out here. I hope you’re able to find some answers for your health issues! I know it took several people planting those seeds in my mind, before I pursued lyme. I just hope I can do the same favor for someone else! I followed through with your advice and found a Lyme Literate doctor. I drove 6 hours to Seattle WA to see Dr. Susan Marra and completed extensive labs. I met with her today and found out that I not only have Lyme but two other tick borne diseases and many co-infections. I was in shock but it explained the last 20 years. Thank you, thank you for this original post. 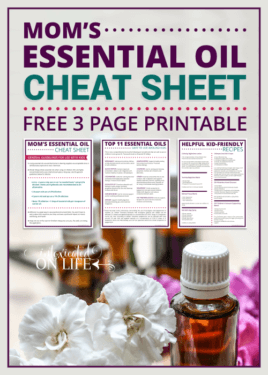 I found it when searching for essential oil info. The LORD led me to the truth through your courageous post. It is no understatement that my life has been saved and I am going to LIVE! this disease almost killed me last year and we didn’t know what was happening. Now we know. Bless you. I wish I could give you a hug. Thank you so much for coming back and updating me. I’m so glad that you were able to finally get some answers! I totally understand what a relief it is to FINALLY have some answers! My daughter has Lyme and lives in Tri-cities Washington. She sees a chiropractor in Couer d ‘alene Idaho. He has Lyme also. His treatment has helped her to recover most of her quality of life. She no longer lays in bed all the time. However she can eat very few foods. If you have not found any help email me and I will get the chiropractors info for you. I see your post is from 2015. I have gotten help, thank you. Glad to hear your daughter has found a good doctor to help her! I’ve jus read this article and it could have been written by me so I can’t wait for the next one!! Sorry to hear you are struggling with these same things. You can read the second post here. Even though this was not the cause for you, I want to alert people to the disease I have… it causes the same soul sucking exhaustion and many other symptoms that can be attributed to other things. Many people with this disease have been misdiagnosed with chronic fatigue and fibromyalgia. I have parathyroid disease, aka hyperparathyroidism. Your parathyroid glands are the 4 glands behind your thyroid in your neck. They regulate a few things in your body but most importantly is calcium. When you have a tumor or hyperplasia on one or more of these glands it causes a calcium imbalance, which can throw your entire body out of whack… as calcium is used in many bodily functions. 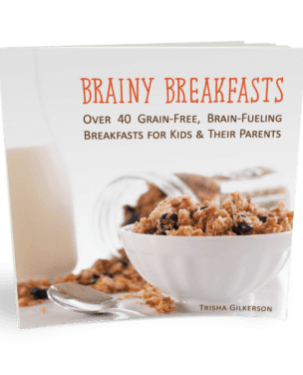 Please consider looking into this if you are still trying to find answers for your health. At one point I thought I must have been a hypochondriac, until I found the website http://www.parathyroid.com it explained everything wrong with me. I asked for the simple blood test and sure enough my calcium and parathyroid hormone were elevated. I hope this information will help someone! Thanks for sharing Ashely! This is another good thought for those struggling with undiagnosed symptoms or who have been diagnosed with “chronic fatigue.” My doctor actually testing me for this a couple of times. My tests all came back fine though. Unfortunately, this is another one of those things that often gets overlooked. I have had “chronic fatigue syndrome” for well over a year and I have not backed down on believing something was not right. Despite what many people and doctors were saying to me I knew there was a reason I was so tired All.OF.The.TIME. I went from thyroid dysfunction- which was true and medication temporally helped, to Lyme disease-which was true, but treatment didn’t help, then on to parasites and yeast overgrowth in my GI tract. All was true but not the root cause. Turns out, my fantastic naturopath helped me discover that my house actually has toxic mold. All of my symptoms are related and caused by the chemicals released by the mold. Im on a real path to recovery and I am ASTONISHED at how big of a problem toxic mold is and how undereducated the public and healthcare system are!! Get tested, have your house tested! it is 100% worth it! I’m so glad to hear that you were able to find out the underlying cause of your problem! I know other who have had problems with toxic mold and it sounds like a nightmare. I’ve heard that toxic mold and lyme disease have a lot of similar symptoms. I am convinced that I have lyme disease i have all the same symptoms that you mentioned and them some. My doctor continues to blame my thyroid and when hes not doing that, he says its stress! I know there are a few tests for lyme. I guess i have to keep on my doctor to carry through with getting myself diagnosed. And to beg him for a lab slip for the testing. I am glad I read yoyr post. Thanks for sharing! Sounds like it’s time to find a new doctor! I’d find one that will really work to dig to get to the bottom of your problems. If you don’t have one that will do that, you’ll just be spinning your wheels and getting nowhere. I was in a similar place, looking for so many answers that I wasn’t getting. They were ready to diagnose me with fibromyalgia and didn’t have many answers. I was miserable, thought it’d be a lifetime diagnosis. I then began of changes and I’m a completely different person. My autoimmune doctor put me on vitamin D and vitamin B12 to start and then I eliminate a lot of processed foods out of my diet. My symptoms were almost instantly gone. 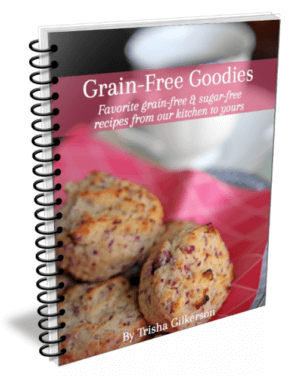 Aspertame, MSG, BHT, BHA, TBHQ, high fructose and so on. It made all of the difference in the world for me. I decided I didn’t want to live on meds and be miserable anymore so I chose to try some super hard changes. Good luck all! That’s great you were able to find the reason behind the symptoms you were using. Dietary changes can make a HUGE difference!